Foot Levelers | 8x8, Inc. Foot Levelers, based in Roanoke, VA, is the world’s largest manufacturer of custom orthotics. It is highly dependent on its phone system, both internally—connecting remote workers, shop floor employees and headquarters-based staff—and for communicating with customers. The company was looking at a $100,000 cost to replace its existing system but instead, Foot Levelers installed 8x8 Virtual Office. The result was minimal up-front cost, unprecedented uptime, and the seamless integration of its globally-dispersed workforce. Foot Levelers, Inc. has been in business for 65 years, utilizing its US-based manufacturing facilities to create a broad range of custom devices to relieve or correct orthopedic problems, as well as rehabilitation equipment. The company’s goal is to help correct the underlying causes of pain in the feet, legs, hips, back and neck. Foot Levelers is an outspoken advocate of the benefits of using well-designed orthotics to help patients avoid more costly treatments such as drugs and surgery. The phone system was reaching the end of its useful life and Chittum estimated that a similarly configured replacement would cost between $80,000 and $120,000. 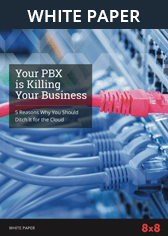 In addition, the company had an expensive Primary Rate Interface (PRI) contract with the local phone company for voice and data that would still be needed if the decision was made to select a traditional on-premises solution. Chittum conducted a thorough investigation of cloud-based business phone vendors; he looked at analyst reports to identify the major players, and sought the advice of two trusted value-added resellers. In his research, Chittum gave particular attention to three criteria: stability, price and usability. Taking this unprompted reference as a final confirmation, Chittum selected 8x8. Foot Levelers initially did a pilot with six phones in its call centre, followed by a rollout of the softphone client to the field-based sales force. The ease of implementation gave Chittum the confidence to deploy to the entire Roanoke facility all at once. “The whole project was very well organized and efficient. It was a testament to 8x8 and the quality of its deployment services. After the initial pilot, I pretty much did the whole 8x8 cut over myself. Support from the 8x8 services organization was invaluable in allowing me to complete the deployment without losing any sleep,” he noted. After Roanoke, the company completed the rollout to its Canadian and Australian offices. 8x8 Virtual Office integrates seamlessly with the Foot Levelers Salesforce instance and its call centre application. The 8x8 softphone technology enables employees to route their phone numbers to virtually any telephone or device, irrespective of location. Messaging, faxing and full remote meeting functionality are all built-in. “The system interconnects our satellite offices with headquarters and the manufacturing facilities. 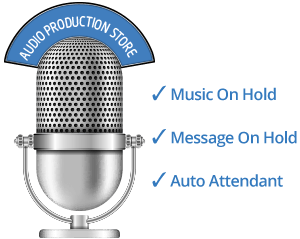 Our remote staff can now message and talk anywhere using one platform. It’s pretty amazing,” enthused Chittum. The 8x8 Virtual Office desktop app has been a productivity gain for Foot Levelers, allowing approved employees to work from home. Chittum anticipates that in the future, even call centre employees may be able to work remotely when inclement weather prevents travel to the office. The move to 8x8 has been a big win for the orthotic manufacturer. Downtime is no longer an issue. Sales people are more productive with the conference bridge and instant messaging capabilities. Mobile employees are making extensive use of having the 8x8 mobile application on their cell phones. 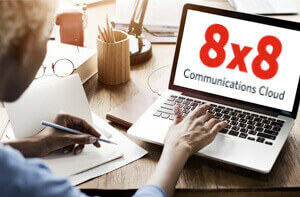 Remote training sessions with doctors now run more efficiently with 8x8 Virtual Office Meetings. Chittum has been happy with the cost savings. Having the built-in conference bridge and Virtual Office Meetings capabilities has meant the company doesn’t have to pay for separate licenses for those services. “We avoided spending $100,000 on a new phone system—our up-front cost was minimal—and overall savings have been at least $1,500 a month. We’re able to offer the entire company—including our remote workers and manufacturing staff—the ability to reach each other however and wherever they want to be reached,” he concluded.